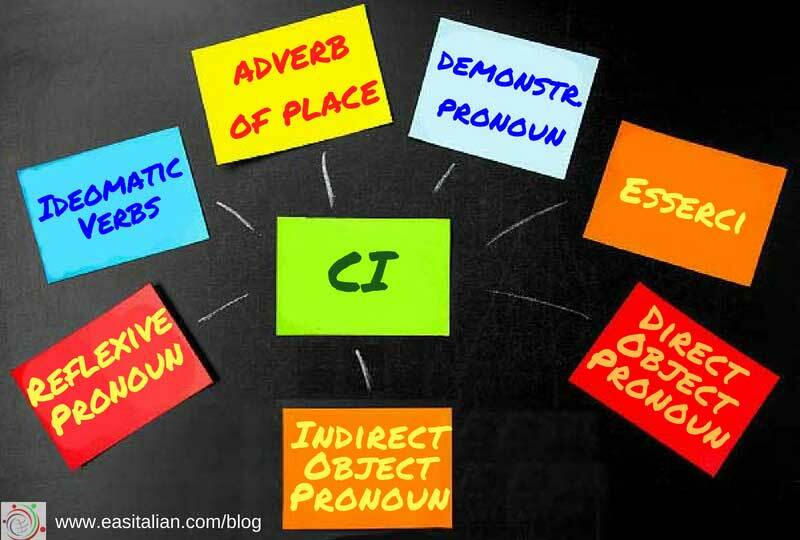 What is this “CI” that you always find with a different meaning in Italian phrases ? The CI particle can be used in a number of ways with different meanings. The CI particle can be used in a number of ways with different meanings. Let’s see how to use it and its main meanings. For this reason, sometimes learners could feel a bit confused when they see it in a phrase. Let’s see how to use it and its main meanings. As an adverb of place, CI refers to a previously mentioned place of location. Hai già mangiato in quella pizzeria? Sì, CI ho mangiato spesso. 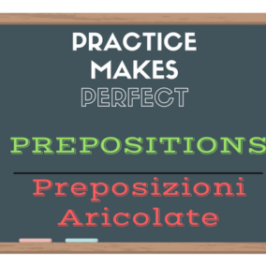 with prepositions a, di, in, su, con quella cosa /quelle cose (of, about this/that) quella persona o quelle persone. 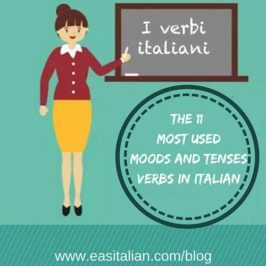 The verb essere (to be) + ci (here or there), produces the expression esserci meaning to be here/ there. This verb is used to indicate or ask if people or things are here or there. Use the regular conjugation of essere with ci placed before the conjugated verb. Note, however, that it can only be used in the third person. Before the vowels e or i, ci is usually elided. C’è il professor Rossi? No, non c’è. Quanti studenti ci sono? Ci sono molti studenti. A direct object receives the action of the verb directly (without a preposition). The direct object can be a person or a thing. Want to learn more about Direct Object Pronoun? Indirect object pronouns answer the question a chi? (to whom?). 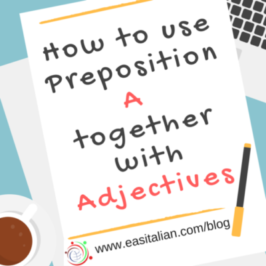 Prepositions used with indirect objects can include a/per/con (to/for/with) + a person or animal. 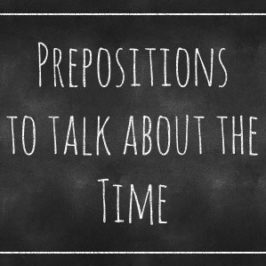 Want to learn more about Indirect Pronouns? A reflexive verb always requires a reflexive pronoun. 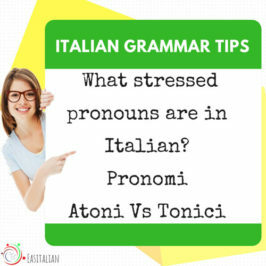 These pronouns usually precede the conjugated verbs. When you have the -si ending in a verb, you can insert the proper reflexive pronoun that agrees with the subject in the sentence. (noi) CI divertiamo sempre in Italia! (noi) la mattina CI svegliamo sempre alle 8. Some verbs associated with CI are idiomatic. Neither of these pronouns points to something real; they solely play an idiomatic function. 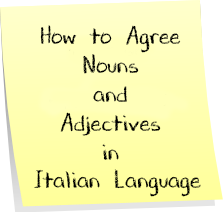 Want to know more about Verbi pronominali? 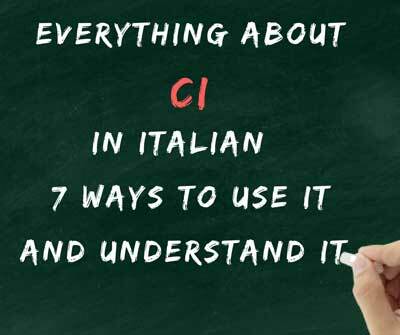 Everything about _CI_ in Italian 7 ways to use it and understand it.